A two decade-long history of using false allegations, faked evidence, videos and news to manipulate public sentiment proves that the BJP will stop at nothing to ensure its return to power. If Modi remains true to form, then this is only the start of a witch hunt designed to remove rivals from the field. The letter allegedly recovered from the house of Rona Wilson, the Delhi-based public relations secretary of the Committee for Release of Political Prisoners (CRPP), which details a meeting in which Maoist leaders ‘decided to assassinate Prime Minister Narendra Modi’, needs to be treated with the utmost of scepticism. This is not only because of its suspicious convenience, for the discovery has come at a time when the BJP has lost a string of elections and by-elections to an increasingly unified, secular opposition. It is also because the letter contains virtually irrefutable evidence of having been doctored. Written by someone who signs off as ‘R’, it falls into two completely separate sections with not a single connecting word, reference or idea. The first section – one single long paragraph – is a “nuts and bolts” discussion of tactics between “comrades”, where every word suggests that it is a part of a continuing conversation over day-to-day issues facing the party leadership. It contains numerous references to past meetings and decisions, to the need to provide relief to Maoist prisoners languishing in jails in Delhi, Maharashtra, Jharkhand, Odisha and Chhattisgarh and to the legal strategy to be employed in their defence. It derides a key Maoist leader “Prashant’ and accuses him of foisting an “egoist agenda” upon the party that has ‘harmed its larger interests”. It gives details of a programme formulated to defend the wheelchair-bound and 90% disabled professor of English from Delhi University, G.N. 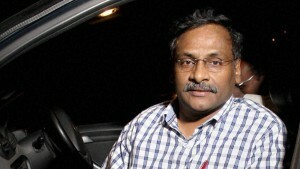 Saibaba, who was sentenced to life imprisonment by a sessions court in Gadchiroli, Maharashtra, in March 2017 and to mobilise public opinion in his defence. At the end of this paragraph, the letter switches registers and refers to a meeting that discussed the need to raise Rs 8 crore to be exchanged for the next batch of M4 rifles and 400,000 rounds of ammunition, at “the APT crossover”. This stark jump continues in the second section, which is a grand, airy, declaration of strategic aims that is not only devoid of tactical detail, but is filled with inaccuracies. It begins by saying that “defeating Hindu fascism has been our core agenda and a major concern for the party”. This is factually and textually wrong. The aim of the Maoists has always been “to overthrow the government of India through people’s war”. Its opponent is not specifically Hindu fascism, but any “bourgeois” government that oppresses the poor. Second, while the first section talks about other senior party members in familiar terms, using first names like Bijoyda, Prashant, Ashok B., Amit B. Seema, Siraj and Sirohi, the second contains only one reference to a specific person. It says, “Several leaders from secret cells as well as open party organisations have raised this issue very strongly. We are working to consolidate ties with like-minded organisations, political parties, representatives of minorities across the country”. It then goes on: “Comrade Kisan, and few other senior leaders have proposed concrete steps to end Modi Raj. We are thinking along another Rajiv Gandhi type incident”. This allegation does not contain a single specific reference, but seeks to incriminate each and every “secular” political party NGO, and human rights activist in a plot to assassinate the prime minister. But it then makes one gigantic mistake: It claims that this has been endorsed by one “Comrade Kisan”. The purported letter writer shows no awareness that Comrade Kisan is the very person whose “egoist agenda” he has derided a few lines earlier. For Kisan and Prashant are one and the same person — Prashant Bose, reportedly the second in command of the Maoist movement in the country. Why should ‘R’ have used two different names for the same person in an internal report to a fellow Maoist leader? It could be that he had a momentary loss of memory. But it could also be that the second section was drafted by someone who did not know that Prashant and Kisan are the same person. That is what makes the letter almost certainly a fake. Had this been a lone episode of its kind, it would not have been conclusive. But the BJP’s record of concocting fake videos to slander Modi’s opponents and inflate his image over the past four years makes it very likely. 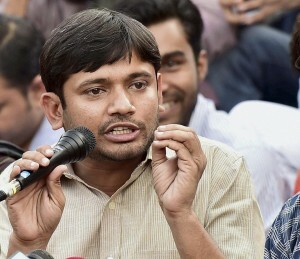 On February 11, 2016, the Delhi police had arrested Kanhaiya Kumar, the then president of the Jawaharlal Nehru University Students’ Union on the charge, itself questionable, of raising anti-India slogans during a speech on the campus two days earlier. In a forensic examination carried out at the beginning of March by Truth Labs in Chennai, the video was found to have been doctored, with voices of people who had not been present at the meeting overlaid upon Kanhaiya Kumar’s at a crucial point. By then, Kanhaiya Kumar had been beaten up and humiliated by lawyers belonging to the RSS’ Adhivakta Sangh in a police station while the police stood by and watched, and spent 17 days in jail. In June last year, when the prime minister was on a visit to the US, and had been invited to a “working dinner” by President Donald Trump, the image makers of the BJP uploaded a video of Modi’s cavalcade driving through the empty, heavily-policed streets of Washington DC to the White house with a caption claiming that this was how Modi had made the US respect a nation of 1.3 billion people. The video was later found to have been of a cavalcade of former US president Barack Obama driving through the streets of San Francisco in 2010. Finally, two fake videos surfaced on the eve of the Gujarat assembly elections in December last year. Days before the final round of voting, a fake video began to circulate on YouTube, showing Rahul Gandhi signing his nomination papers at the party office in front of a portrait of Aurangzeb. The video had been morphed from the real footage which showed that the portrait was of Mahatma Gandhi. Hard on its heels, on December 4, NewsX aired an ‘exclusive’ of a Facebook post which purported to show a retired “Pakistani army Director -General who served in its intelligence” – one Arshad Rafiq – declaring gleefully that ‘their man’ Ahmed Patel was soon going to become the chief minister of Gujarat. The post contained a clip of Rahul Gandhi wearing a Muslim skull cap and saying “Mubarak”. When contacted by the Indian Express, Rafiq, who once posted a photo of himself holding a cigar and telling ‘all smoking friends’ that smoking after keeping Roza (fasting during Ramzan) was a pleasure not to be denied, said that he had not written any post on Ahmed Patel, but added “Par agar Modi saheb apney shikhast ka sehra mere sar pe bandhna chah rahey hain (if Modi wants to give me credit for his defeat), he is most welcome”. These doctored videos and posts show that the BJP will stop at nothing to ensure its return to power. But they do not reveal how far Modi, in particular, is prepared to go to maintain his grip on power. To grasp that, one needs to go back to the aftermath of the Gujarat riots of 2002, when he was the chief minister and Amit Shah was his home minister. Modi’s handling of the riots, in which a thousand Muslims were killed in a matter of days, is mired in controversy till today. But what is not in doubt is the callous ruthlessness with which he stoked Gujarati chauvinism even while the killing was going on, and claimed that the nation’s condemnation was an attack on Gujarati pride and on Hinduism. Not only did he refrain from restraining the mobs, but he advanced the state assembly elections by four months to checkmate the then prime minister Atal Bihari Vajpayee’s move to remove him from the chief ministership of the state. Having succeeded in doing this, he continued to shore up his position within the party and the nation by using the bogey of a Pakistan-aided attempt to assassinate him in revenge for Ahmedabad, to keep Gujarati chauvinism at fever pitch. One consequence of this was a carte blanche to the Gujarat police to kill Muslim suspects picked up under suspicion of malfeasance. 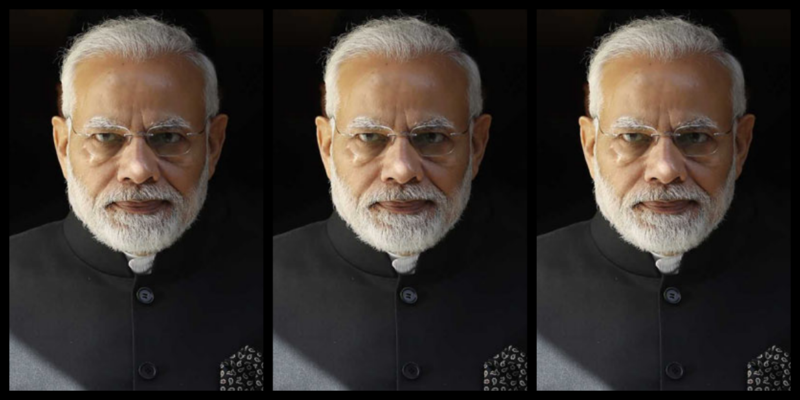 This turned some of its elements into a killing machine: over the next four years, there were no fewer than 22 such “encounters” at least four of which were subsequently found to have had nothing whatever to do with killing Modi, or taking revenge for the 2002 riots. It is this cynical, two decade-long, use of false allegations, faked evidence, videos and news to manipulate public sentiment that makes the current allegations against Rona Wilson and the other ‘Naxals’ arrested by the Maharashtra police in a BJP-ruled state so disturbing. The Shiv Sena journal Saamna called them ‘laughable’, but if Modi remains true to form, then this allegation could be only the beginning of a witch hunt designed to remove rivals from the field on charges of sedition, treason or waging war against the state, as a prelude to raising Hindu chauvinism to fever pitch before the 2019 general elections. If that is indeed the plan, then Indian democracy’s most dangerous moments lie only months ahead. Prem Shankar Jha is a senior journalist and author of several books.